The Fatboy Lamzac blow up lounger was a revelation when it was released in 2015 which caused a huge stir in the outdoors world and spurred numerous copies. Ever the originals, Fatboy filed for their design to be patented and won their fight against imitators in 2016 to be the only company legally able to sell the unique outdoors accessory. 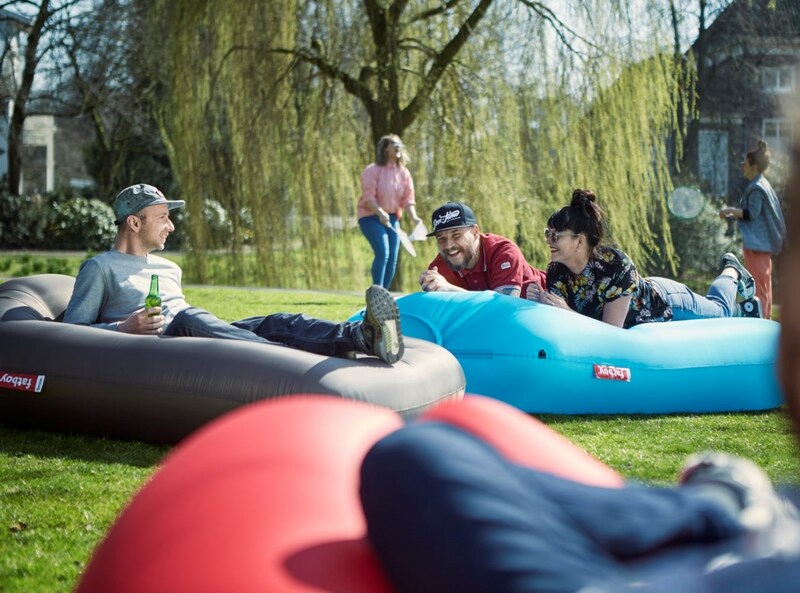 Following on from the immense success of the original design, Fatboy have outdone themselves again in 2018 with the release of not one, but two larger sized Lamzac loungers for you to sit back and relax on this season. 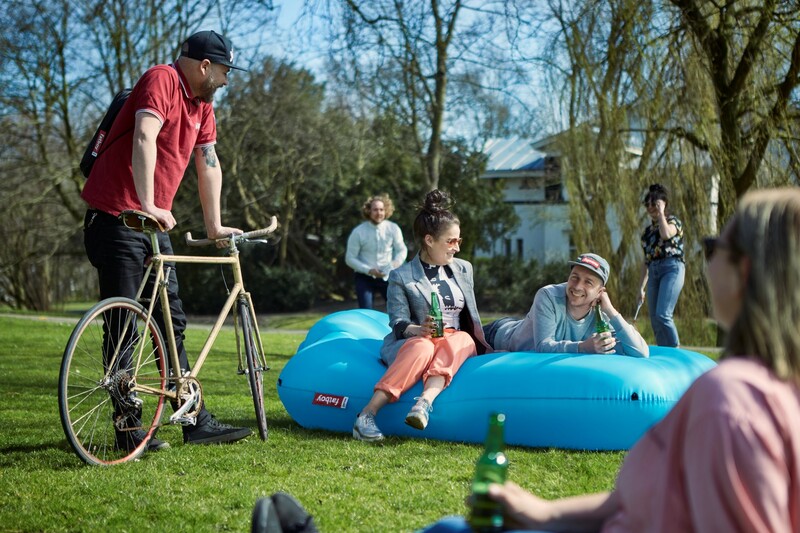 Wonderfully simple in design, the sack-like loungers can be easily filled by holding the opening wide and ‘scooping’ air into the main compartment. 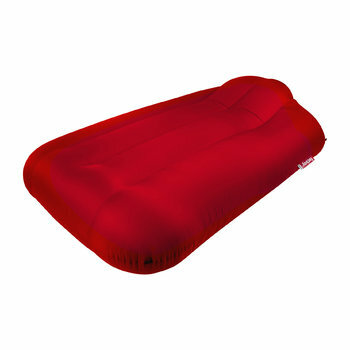 The original Lamzac features two tube shaped compartments to fit one person comfortable laying on top or two people sat upright. 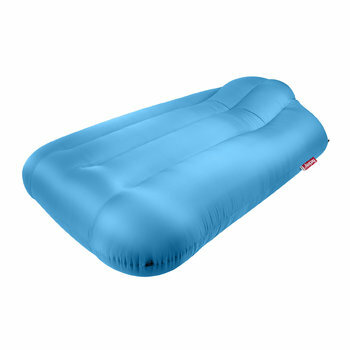 The new designs are more reminiscent of classic blow up beds and are much larger in size than the originals for even more room, however they still offer the same outdoor-proof and transportable benefits. The Lamzac L is slightly larger than a standard single mattress offering even more space for one person than the original, making it perfect for soaking up the sun at the beach or in the garden. The Lamzac XXXL is approximately the size of a double mattress which is more than enough room to comfortably share and therefore perfect for barbecues, outdoor cinemas or even days at the park. As with most Fatboy products, the new Lamzacs are completely outdoor-proof and made with durable nylon ripstop which repels dirt, water and stains. 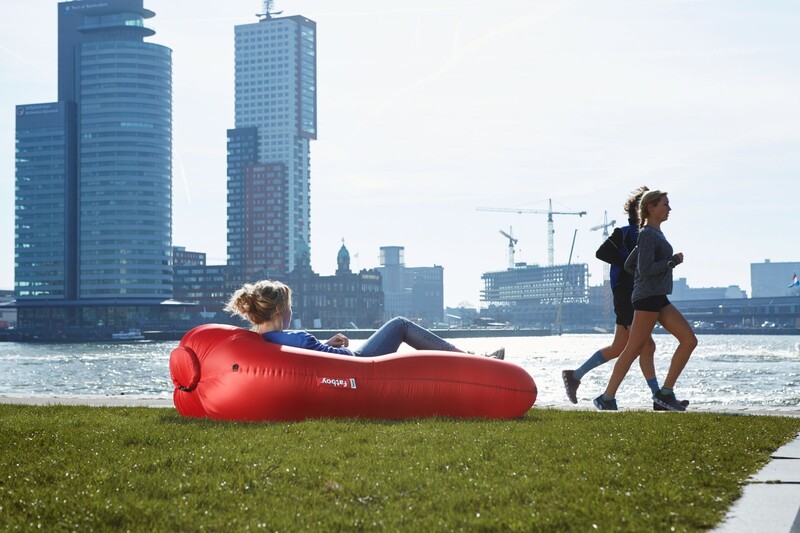 Easily inflatable within ten seconds, each Lamzac also includes ground pins and repair kits to make sure your relaxation time won’t be interrupted by a breezy day or surprise punctures. One of the main features of the blow up loungers is that when not in use they easily fold neatly away into the included carry backpack, making them perfectly transportable for your next adventure. 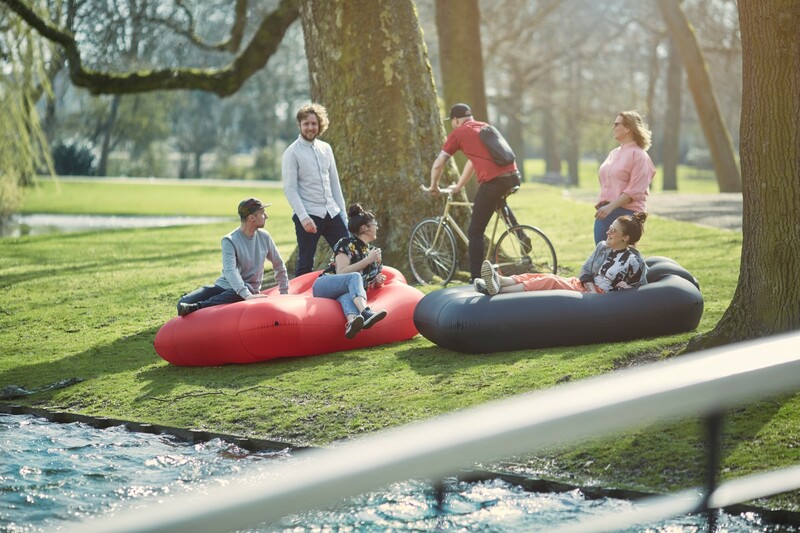 A must have for the summer season for your garden or on the go, the Fatboy Lamzac L and XXXLs are now available to buy at Amara for your to add a touch of relaxation to your outdoor activities.